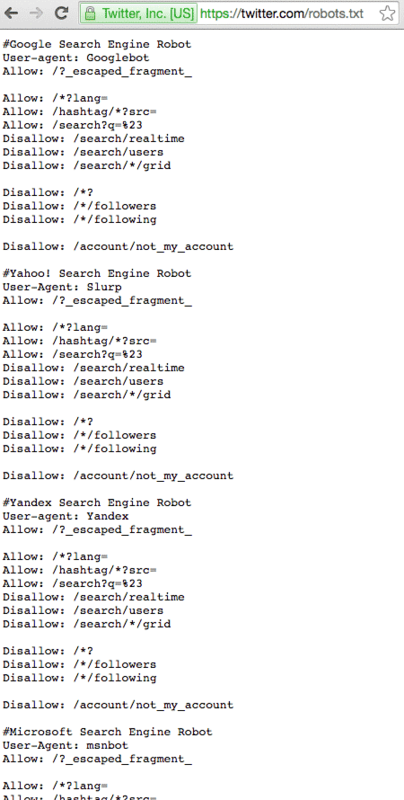 Twitter Block Web Crawlers via Robots.txt? A small thread yesterday on HackerNews claimed that Twitter had de-indexed their entire site, using Robots.txt to block crawler access. OK that looks like they are de-indexing the site? As you can perfectly well see, they ARE disallowing robots from crawling www.twitter.com, but that is absolutely by design and not by accident. Its actually really simple, one of the basic elements of SEO is preventing duplicate content. Typically SEO’s recommend only having one version of your site, either on www.yoursite.com or just yoursite.com, but NOT both. Twitter have decided to go the route of preventing indexation by way of preventing crawling of the www. subdomain, rather than rewriting their URLs to not include them, while redirecting the traffic. Firstly, there are 1.3 billion pages in the index for the primary domain, and just 8 million for the incorrect version with “www”. Secondly, each of the results in the second version dont have a meta description, thats because Google can not crawl the pages, so doesnt know how to describe them. Then why are they in the index? There’s a pretty simple explanation for that as well, other web pages link to twitter accounts, often incorrectly, INCLUDING the www. in the URL. That’s why Google knows about the page, so it appears in a Site: search, but its not in the index, nor do they have a description for it. So can we stop losing our Minds? Of course all the www. results are in the Google index and they are shown at normal queries. Try “uottawageegee” for example. You’ll find a http://www.twitter.com result with it’s description saying crawling access ist blocked by robots.txt. 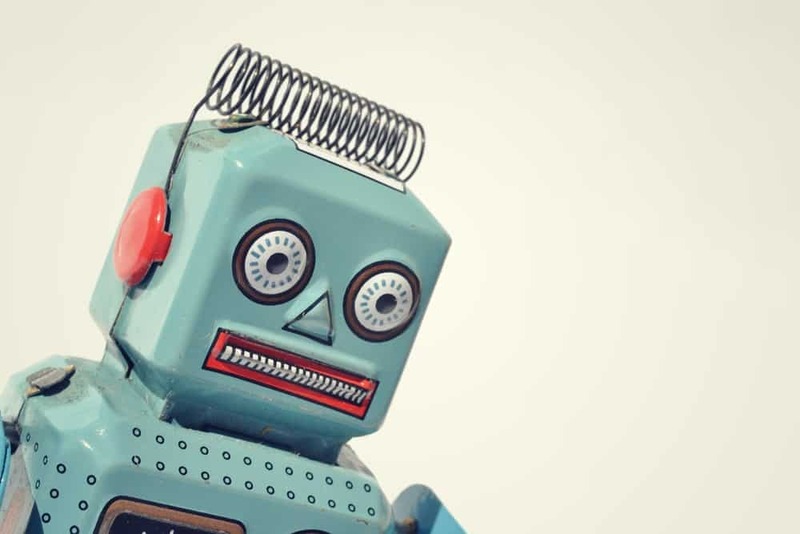 But this has downsides: Bots will crawl all these pages. If you have a LOT of urls that is nothing you want. First: This can get heavy on server performance. Second: It can lead to a lot of “bad” / duplicate / use- or contentless results. 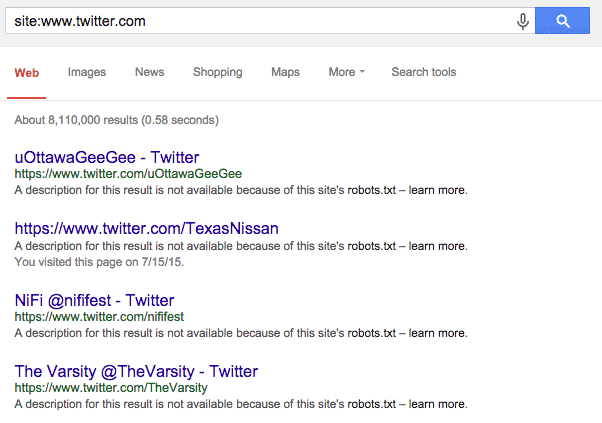 So: Twitter doesn’t stop Google from indexing via robots.txt, it only stops them from crawling these URLs. But there might be a strategy behind this decision. But it’s also completely legit to assume they didn’t get the last 5 years of indexing strategies. Great pickup, but rather incongruous with the failure to correctly redirect the dub dub version though right? I’m not sure blocking the www version is a great move, though. Surely they are limiting crawlers requests, but they are also not consolidating their link equity to the not-www version, since spiders can’t request the pages and know about the 301s.